Another kale salad? Yep. I can’t stop eating this one. 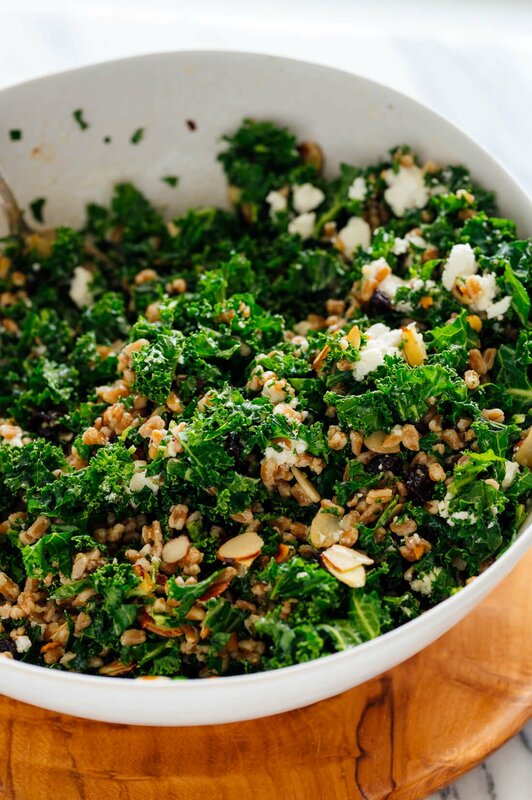 It’s full of tender massaged kale, chewy cooked whole grains, tangy crumbled goat cheese, toasted almonds and dried cherries. The vinaigrette is intentionally zippy, and it brings it all together. This salad is a dead ringer for one of my favorite Kansas City salads, the winter farro salad at French Market. It’s a cozy place with grab-and-go salads, amazing pastries and crêpes. The woman behind the counter typically has a lovely French accent. We often stop there on our way out of town for healthy road snacks. I’ve become quite enamored with their farro salad. Since it’s labeled “winter,” I thought I’d better come up with a homemade version before it was too late. Here it is! This salad would be a wonderful hearty vegetarian option on your Easter table. It also packs great for work lunches and spring picnics. Beware, it’s hard to stop eating it once you start. 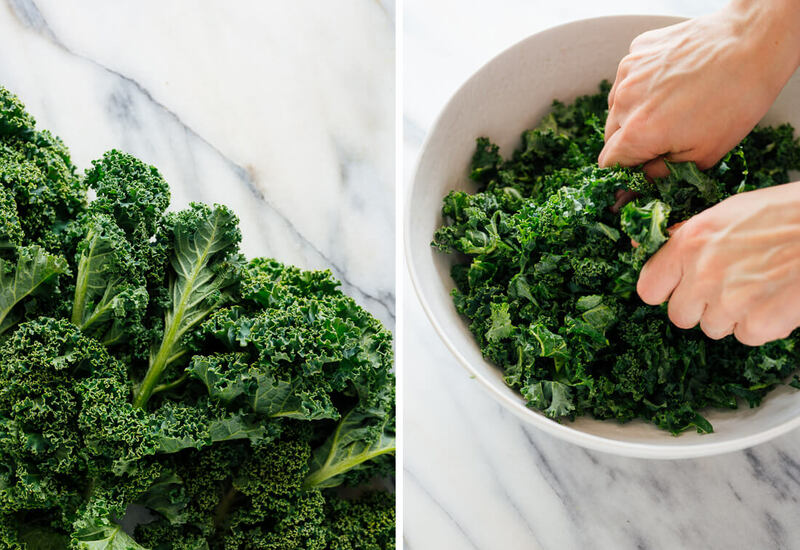 The post Farro and Kale Salad with Goat Cheese appeared first on Cookie and Kate.